Aspergillus consists of several hundred mold species found in various climates worldwide. First catalogued in 1729 by the Italian priest and biologist Pier Antonio Micheli, the fungi when viewed under the microscope reminded him of the shape of an aspergillum, or holy water sprinkler. 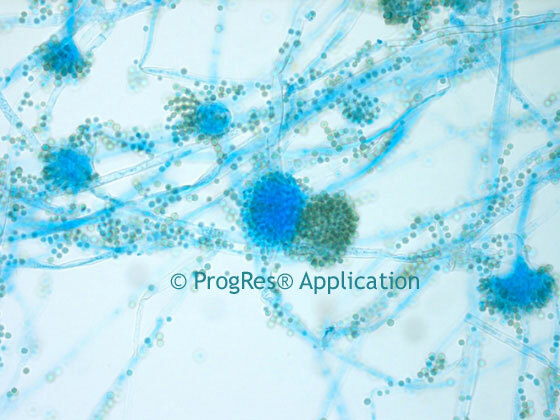 This image of Aspergillus was captured using a biological microscope and the ProgRes Jenoptik C5 microscope camera. You can be the judge as to whether or not this reminds you of a holy water sprinkler!